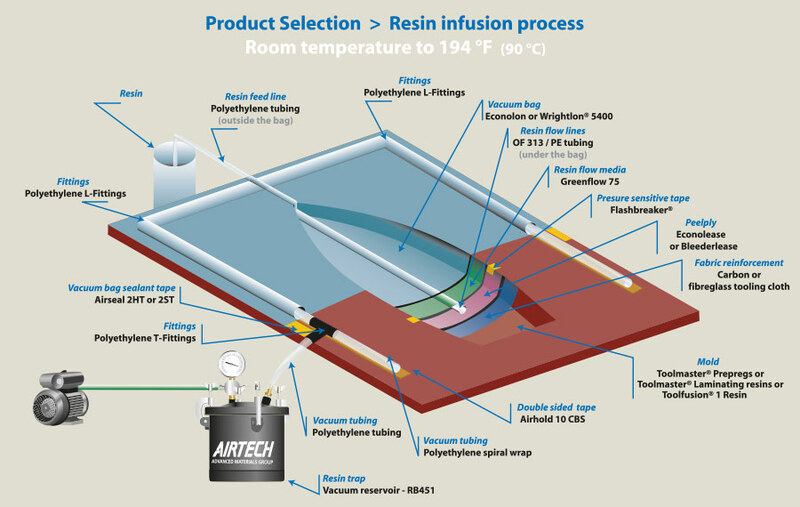 Resin Infusion is a process by which vacuum draws resin into a dry fiber laminate in a one sided mold. 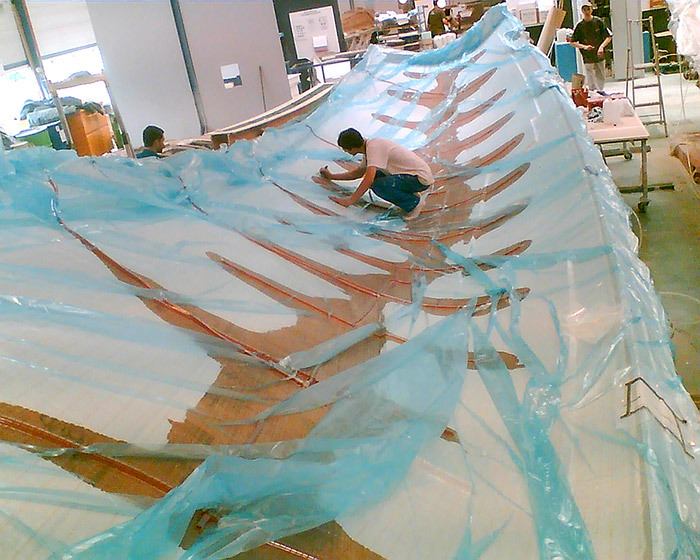 A rigid or flexible film membrane is placed over the top and sealed around the mold periphery. 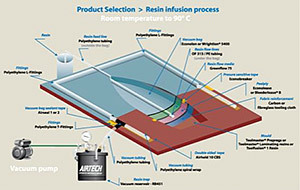 Resin infusion is considered a “Closed Mold Process”.